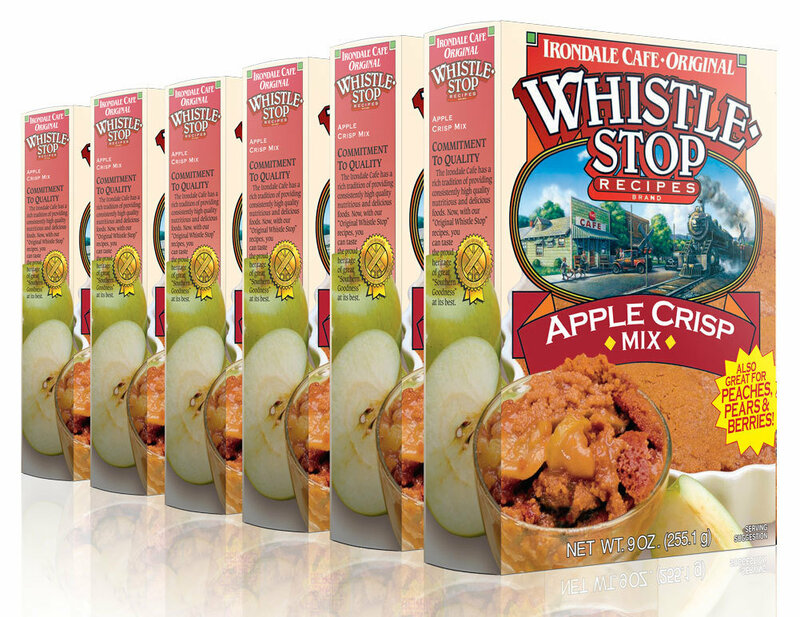 Our WhistleStop Apple Crisp Mix receives many customer accolades. This mix is so very easy to use, but more ­importantly, it has one of the best ­flavors of any dessert product on the market today. We used a ­specially blended sugar with our recipe and found it to be excellent with almost any fruit. Great with your favorite apples, and also great with pears, peaches, berries and even pineapple. You’ll love it. Keep plenty of this Batter Mix on hand. You never know when family and friends may drop by and you'll want to serve up some down home and delicious Apple Crisp from the WhistleStop Cafe.